Looking at these old research papers and abstracts reminds me that a great deal of what accounts for news and major advancements is hardly new. These papers are 25 years old but focus on advanced computation, machine learning, autonomous vehicles, user interfaces, lots of sensors and highly distributed computing. And even these research papers are not even that old. We’ve noted before that the basic windowing/mouse interface was invented back in the 1970’s and what inspired Steve Jobs in his UI design during a visit to the labs in 1979 or at least so the story goes. Forty years later we are finally shifting gears into gesture, touch, voice and soon more natural and intuitive tracking and contextual commands. 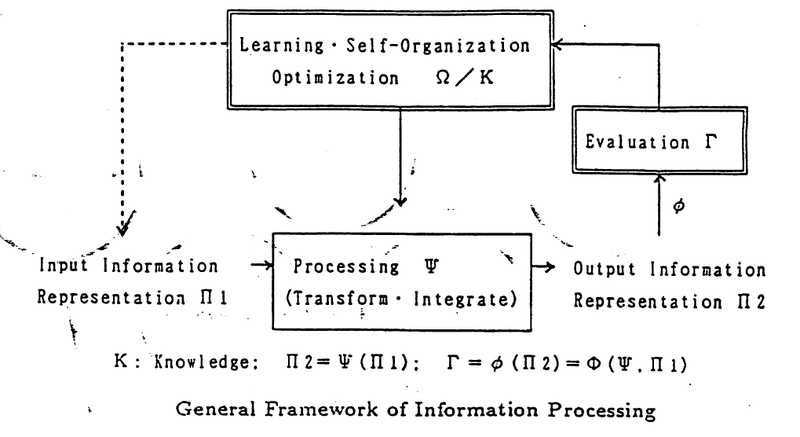 The separation of processing into “Logical” as defined by conscious, analytical, serial concentrated and digital and “Intuitive” as subconscious, synthetic, parallel distributed and analog. The terms might be a little dated and missing some aspects like probabalistic methods but it feels right to think of the process as having two sides. Another useful concept is the use of “soft” processing when information is incomplete and very changeable versus “massively parallel distributed” for large and increasing amounts of data that is well connected. 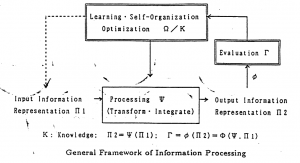 The combination of these types of processing types leads to the powerful uses envisioned in terms of interfaces and intelligent machines.